Chile-heads will love this! All others, approach with caution. Try it out on a cracker with some cream cheese or goat cheese first so you can plan your next move. *Wear gloves when handling scorpion pepper. Snip stem from scorpion pepper with the tip of scissor. Slice pepper in half vertically, carefully discard seeds (they can be snipped out with a scissor). Place a 1 cup measure with 1/4 cup water into microwave. Heat until boiling (around 1 minute.) Remove from microwave and place scorpion pepper in water. Cover with plastic wrap and steep 15 minutes. Meanwhile, wash and pick over cranberries, discarding stems and any soft berries. Place berries and sugar into a large heavy saucepan. Turn heat to medium high. Pour the water used to steep the pepper into the jam pot. Chop the pepper as finely as humanly possible and add to jam pot. Cook jam around 15 minutes until the sugar is dissolved and most of the berries have burst. Turn off heat and allow to cool slightly. 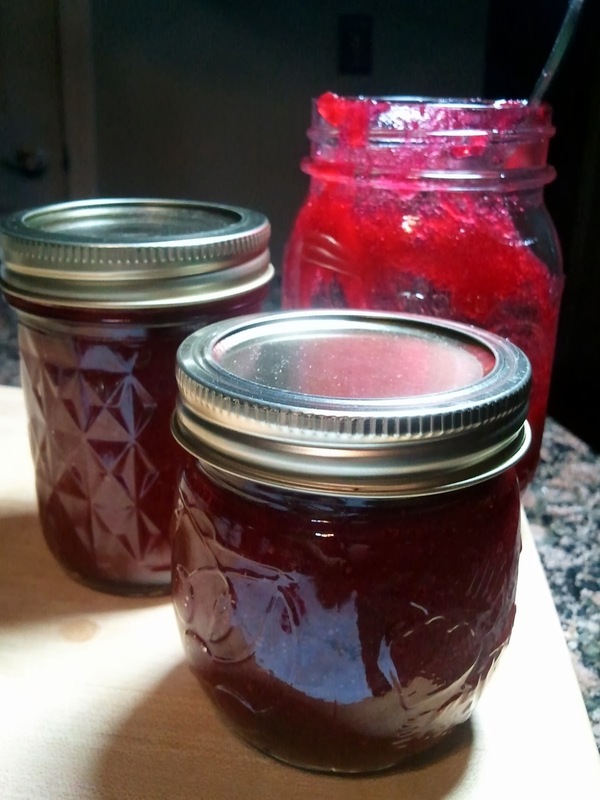 Carefully blend 3/4 of the mixture in a blender until smooth, then return mixture to jam pot. Stir well, cook another 2 minutes. Ladle into sterilized jars and process in boiling water bath or pressure canner.